It is only befitting that I start our journey into Malta with that for which it is most renowned - The Order of St. John of Jerusalem. 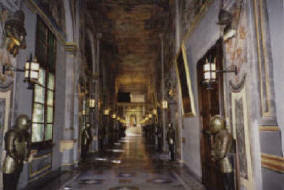 It was in 1113 AD following the capture of Jerusalem by the Christians that Pope Paschal II granted Brother Gerard de Saxo, founder and provost of the Hospital in Jerusalem, the Charter of incorporation of the Order of St. John of Jerusalem or more commonly referred to as the Hospitallers of Jerusalem. From this Order came a sub group of warriors called the Knights Templars. In 1291, the Knights were forced to Cyprus by their Moslem adversaries. Bound by the monastic vows of Chastity, Obedience, and Poverty, they soon found the temptations for power eroding the Order and in 1308 AD found the ideal home in the Byzantine island of Rhodes. During this period they were called Knights of Rhodes. The Knights Templars were suppressed and their last Grand Master, Jacques de Molay ,was burned at the stake in Paris. They remained there until 1 January 1523 when the Turk ,Suleiman, the Magnificent, after a 6 month siege forced the Knights to capitulate. It is said that the heroic stand by the Knights stirred Suleiman's admiration and Grand Master I'Isle Adam together with his remaining Knights were not only allowed to leave Rhodes unmolested, but were also escorted with a ceremonial guard of Honor. It was then Emperor Charles V, Head of the Holy Roman Empire, uneasy with the Orders position in Sicily ,who bestowed to the Knights the Maltese Islands of Malta and Gozo. 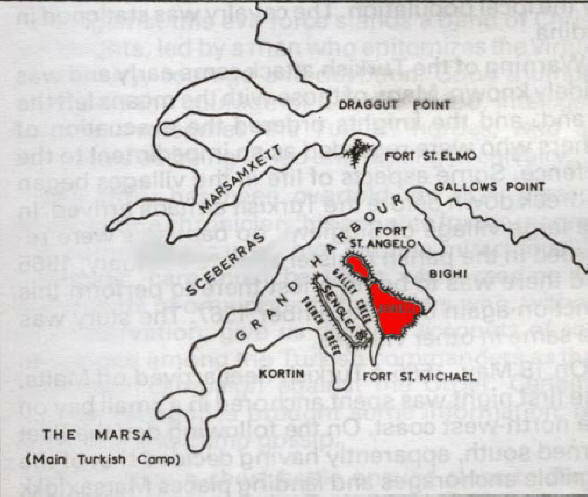 The Order's large flotilla was well suited to the many harbors and bays on Malta and it was Birgu , lying in the shadows of Fort St Angelo that they established as their headquarters. When the Order took the islands in fief, it was with the understanding that it should be free of customary services. Technically, the Knights were vassals but assumed sovereignty and were to proffer an annual fee of one Maltese Falcon. This is the true basis behind the folklore surrounding the Maltese Falcon and the classic Humphrey Bogart film of the same name. After 400 years in the eastern Mediterranean as hospitallers initially caring for pilgrims during the Crusades, the Knights arrived in Malta in 1530 through this very harbor and became known as the Knights of Malta. 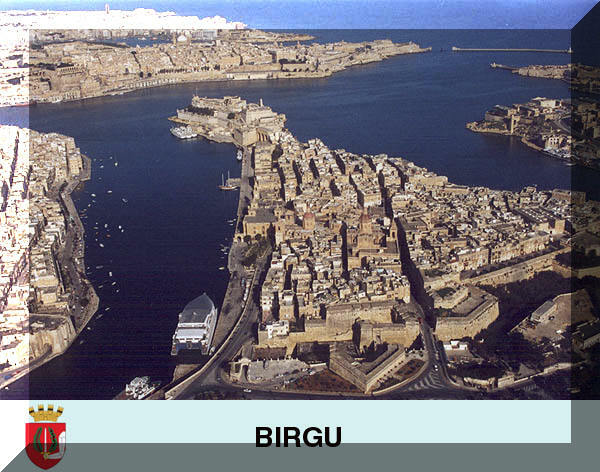 The fortifications around the Grand Harbor and Birgu. 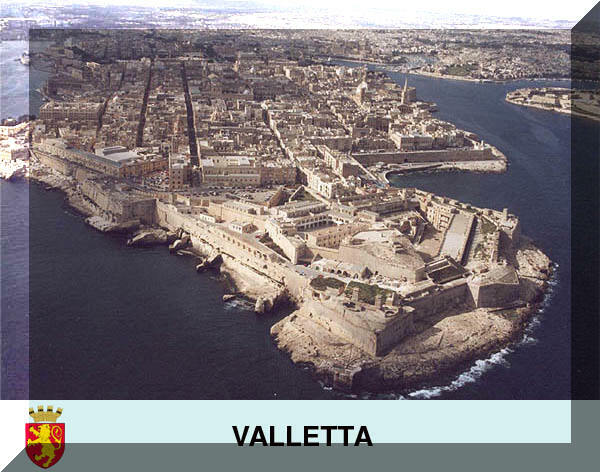 Fort St Elmo stands at the point of the Sceberras (Valetta) and was the focal point of the Great Siege of 1565. Capital of Malta with Fort St Elmo at point of entrance to harbor today. Fort St Angelo, located at the point of Birgu, protecting the Grand Harbor and the Orders headquarters.This is the early scene in the Count of Monte Cristo with a brigantine vessel sailing in its foreground. 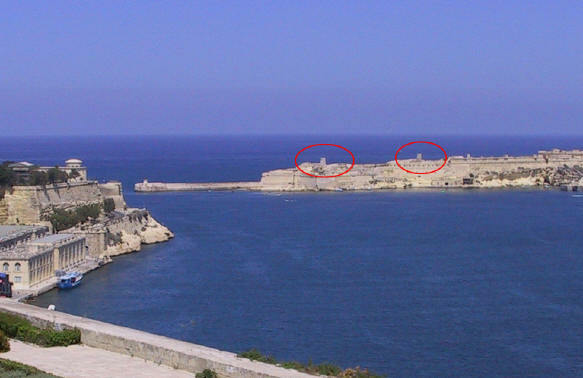 Fortifications of St Angelo made by A. Ferromolino with separation from main land Birgu on left. 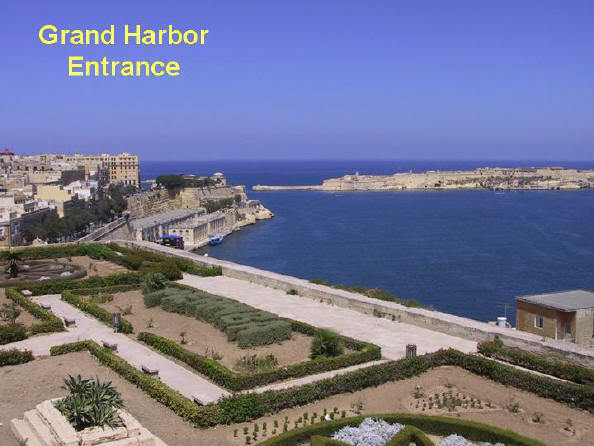 The exquisite backdrop and historical structures of Malta have provided a unique filming location for the motion picture industry. Numerous major motion pictures include: Midnight Express, Popeye, U-741, Gladiator, and most recently, The Count of Monte Cristo. Join me in a few days when I take you further into this fabulous country.